Film by Joris Lachaise, 100min, 2014, Original Version with English Subtitle. "Ce qu'il rest de la folie". 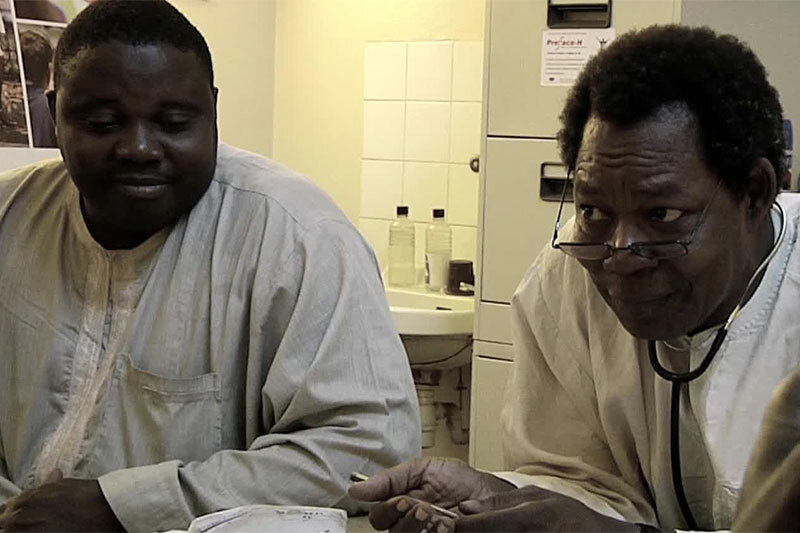 Joris Lachaise accompanies writer and filmmaker Khady Sylla to Senegal's national psychiatric hospital, near Dakar, where she has been committed several times. Seeking dialogue, she meets the psychiatrist who treated her, familiar patients and other faces of the institution. An atlas of a strange place, a gallery of disconcerting characters, "Ce qu'il reste de la folie" (Grand Prix, French competition, FID Marseille 2014) is a reflection on today's Senegal, post-colonialism and its consequences - a country locked in perpetual struggle with its contradictions, where traditional healers and modern doctors try to work together. Using powerful, contrasting images, Lachaise delivers a tactful exploration of the underlying tensions in an oppressive environment.